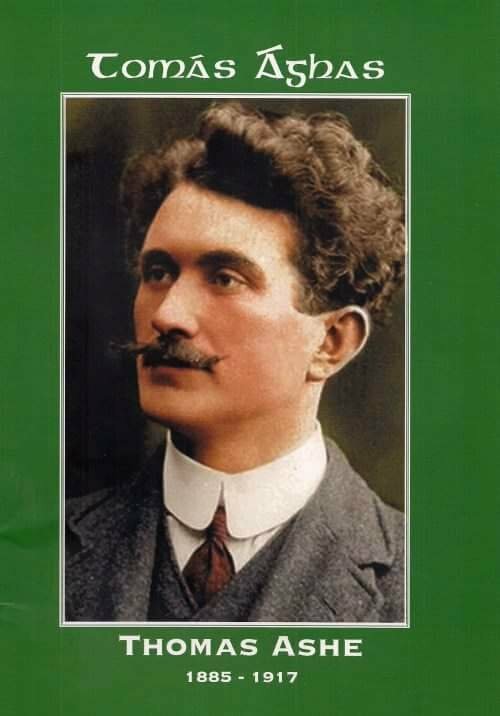 On the 25th September 1917, Thomas Ashe, President of the Supreme Council of the Irish Republican Brotherhood and founding member of the Irish Volunteers, dies in the Mater Hospital in Dublin from the effects of forced feeding while on hungerstrike in Mountjoy gaol. Ash was one of only two surviving senior commandants of the 1916 Easer Rising. Thoas Ashe was a member of the Gaelic league, Republican Nationalist socialist, a leading member of the IRB, a founding member of the Irish Volunteers and leading Commandant of the 1916 Easter rising. Thomas Ashe was born, in 1885, in Kinard, Lispole, Dingle, Co. Kerry, to a family steeped in Gaelic culture and the Irish language. Ashe was a native Irish language speaker and member of the Gaelic League from an early age. After training at the De La Salle Waterford from 1905-1907, he got a position teaching at Corduff national school near Lusk, Co. Dublin. On arriving at Corduff, he joined the Dublin city branch of the teachers’ union, the Irish National Teachers Organisation (INTO), and continued his activities in the Gaelic League. 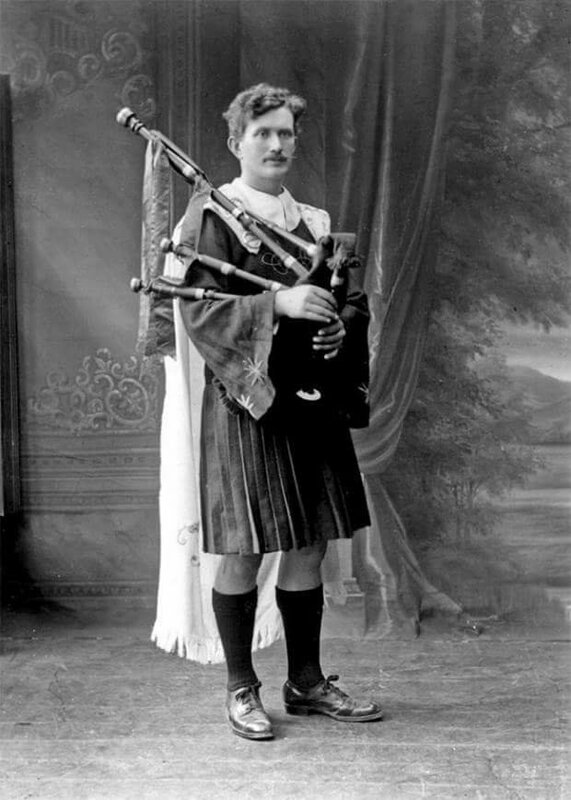 An accomplished piper, he founded, and played in, the Black Raven Pipe band and was also a founder of the Round Towers GAA club. He was a member of the Coiste Gnótha (executive committee of the Gaelic League) in Lusk, where he got to know Seán MacDiarmada, Eamonn Ceannt, The O’Rahilly, Patrick Pearse, and others who later took part in the 1916 Rising. He had a strong social conscience, influenced by the poverty and inequalities he witnessed growing up in Kerry, and further influenced through his friendships with trade union activists like Sean O’Casey, Maud Gonne and Countess Markievicz. 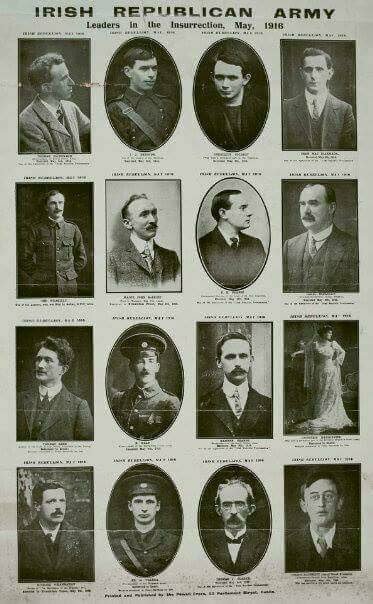 Ashe was committed to militant nationalism and was already a member of the IRB when, in November 1913, he attended the inaugural meeting of the Irish Volunteers in the Rotunda in Dublin city. Between his visits to America in 1914 to fundraise and his continued involvement in the Gaelic League, he was now devoting much of his time to militancy, through his membership of the IRB and the Irish Volunteers. By the end of October 1915, he had become the commandant of the 5th Battalion (Fingal) of the Irish Volunteers, which included the companies in north county Dublin. He and his Volunteers trained for war in the countryside, including training for swift movement on bicycles and motorbike, tactic that would become more common as the Flying Column in the War of Independence. On Easter Monday 1916, despite the countermanding order issued by Eoin MacNeill, the volunteers of the Fingal Battalion turned out. Their orders were to disrupt and destroy enemy communications, to create a diversion on the outskirts of Dublin, in order to help the insurgents in the city and to add to his battalion’s store of arms and ammunition. Ashe was one of the most militarily successful commandants of 1916, taking Swords, Donabate and Garristown RIC stations and leading the battle of Ashbourne, where he and his men attacked the local RIC barracks, killing at least 10 policemen and taking over 80 prisoners as well as a large quantity of arms. The type of tactics used by Ashe and his men in Ashbourne and north county Dublin were different from the static tactics adopted by Pearse, Connolly and the other leaders in Dublin 1916. In the city, outposts were taken and garrisoned and the insurgents waited for attack. Ashe and his men fought a more guerrilla-style campaign; they broke into small groups and moved rapidly through the countryside, launched surprise attacks at selected positions, took arms and then disappeared to fight again elsewhere. Ashe would later discuss these types of tactics with his fellow internees, and there can be no doubt that these discussions formed part of the planning for what would be a very diffident style of warfare from 1919 onwards. Despite their success at Ashbourne, however, on Easter Saturday, 29 April 1916, Ashe and his men received news of the surrender in Dublin and orders from Pearse for the Fingal Volunteers to surrender. After the surrender, Ashe was arrested, imprisoned, tried under court martial and sentenced to death. His sentence was commuted to life imprisonment and he was sent, along with 65 fellow Republicans, to Dartmoor Prison in England and later to Lewes Prison near Brighton. In prison, Ashe organised Irish classes, educated his comrades about politics, war and guerrilla tactics, his successes in Ashbourne gave him real military standing among the surviving Irish Volunteers. It is also in Lewes that he wrote his famous poem, ‘Let me Carry your Cross for Ireland, Lord’. While in prison, he was in communication with Republicans on the outside and was aware of political developments and changing attitudes to the Rising in Ireland. He was a pragmatic man of action and supported the policy of contesting the by-elections which happened in North Longford and South Roscommon in 1917, both of which Sinn Féin won. On his release, Ashe was regarded as one of the most important, senior and popular leaders of the Irish Volunteers. Ever the pragmatist, he was determined to take advantage of the environment now receptive to republican ideology, travelling the country and making seditious speeches in breach of the conditions of his release under Defence of the Realm (DORA) regulation, and working to re-organise the republican movement. In July 1917, Ashe and others campaigned successfully for de Valera during the East Clare by-election. Many wanted Ashe to contest this election. It is during this East Clare by-election that the IRA emerges as a formidable, militant force in Irish politics, with thanks to the oratory skills of Thomas Ashe. He spoke of the men of Easter Week, 1916, and their idealism and their legacy for the next generation. ‘Our opponents’, he said, ‘will tell us we were criminal idealists. You can see that the men of Easter Week were the most practical nationalists that ever lived in Ireland …. 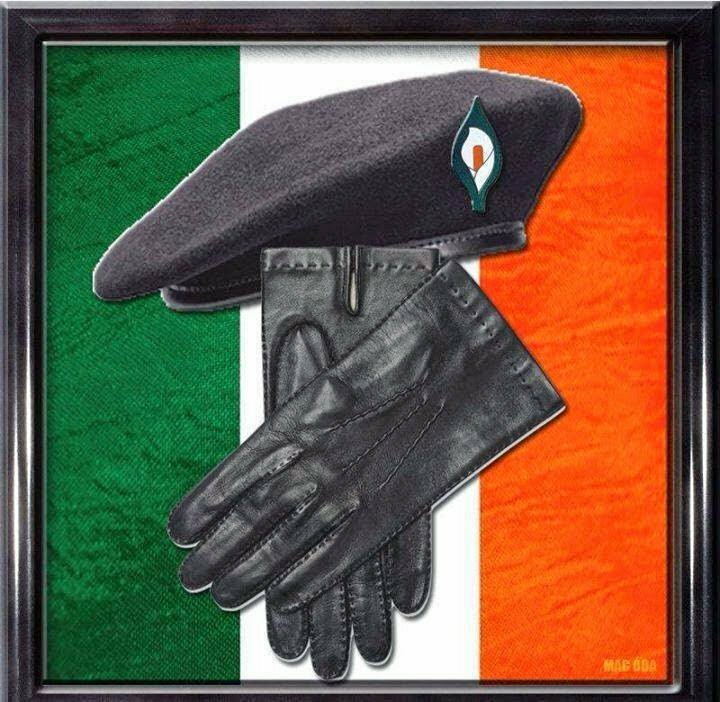 There was no dreaming about them or idealism but the dreams and ideals of absolute Irish liberty, and they worked for it and placed it on a foundation that it will never again be taken down’. He recalled for the ecstatic crowd the words of James Connolly who sent him a despatch during Easter Week which said, among other things, ‘The Republican Flag flies triumphant over Dublin City. There will be glorious days for Ireland yet’. Thomas Ashe continued to build on the Sinn Féin by-election successes, and despite martial law and restrictive DORA regulations, continued to make incendiary speeches around the country. One speech, in particular, that he had given at Ballinalee, Co. Longford, on 22 July 1917, led to a warrant being issued for his arrest. Here at Ballinalee, he celebrated the election of Sinn Féin candidates. These wins, he said, gave an answer to the British Foreign Secretary Mr Arthur Balfour, who was then on the Balfour Mission, a crucial alliance-building tour in America, where he questioned if the Irish really wanted an Irish Republic. Ashe stated that Joe McGuinness’ win in South Longford gave a loud answer to Balfour; that the Irish stood for a republic, that they were ‘out, not for Home Rule or Colonial Home Rule, but for a free and independent Republic in Ireland … they would accept no settlement from Westminster; they had placed the Irish Question on an international status, and to the Conference of the Nations of Europe they would go, with their claim that Ireland must be a free and independent nation’. These types of seditious speeches had the British authorities very anxious at the increasing levels of IRA activity and the growing popularity of Sinn Féin, hence the warrant was issued for Ashe’s arrest. On Saturday 18th of August 1917, he was visiting Dublin city centre to be updated on Gaelic League matters when, while waiting for a friend, two plainclothes detectives recognised and arrested him. He was imprisoned in the Curragh and faced court martial, under DORA regulations, on the 3rd September on a charge of ‘causing disaffection among the civilian population’. He was sentenced to two years’ hard labour. A decision was taken to gather all the DORA prisoners centrally in Mountjoy gaol, where Ashe was joined by 40 others, including fellow Kerrymen Austin Stack and Fionán Lynch. On the 11th September, Ashe informed the Deputy Governor, that he would not ‘work or obey any order relating to criminal prisoners as I do not consider myself a criminal’. Ashe and the others were determined to gain ‘political prisoner’ status and to use all methods at their disposal, including engaging in insubordination, associating without permission, refusing orders, using the ‘Lewes’ tactic of breaking furniture and destroying furniture and windows, and, also, the option of the hunger strike to achieve this. With all other options exhausted, the men decided on hunger strike, which began on the 20th September 1917 and on the 22nd September, the prison authorities began force feeding the Pow’s. On the morning of 23rd September, Ashe was force fed for the first time. Fionán Lynch recalled the procedure the men endured: ‘Each man was strapped, legs and hands, to a high chair, mouth forced open with a wooden spoon and then the stomach pump pushed in by a doctor and the food poured in through it.’ Ashe was kept in a cold cell without any bedding initially and force fed twice a day for two and a half days before he fell deathly ill. Ashe had been roughly force fed that the subsequent examination of his body showed extensive bruising and marks around his mouth, chin and throat. He died soon after, . Thomas Ashe’s death was a major loss to Ireland and the Republican movement. 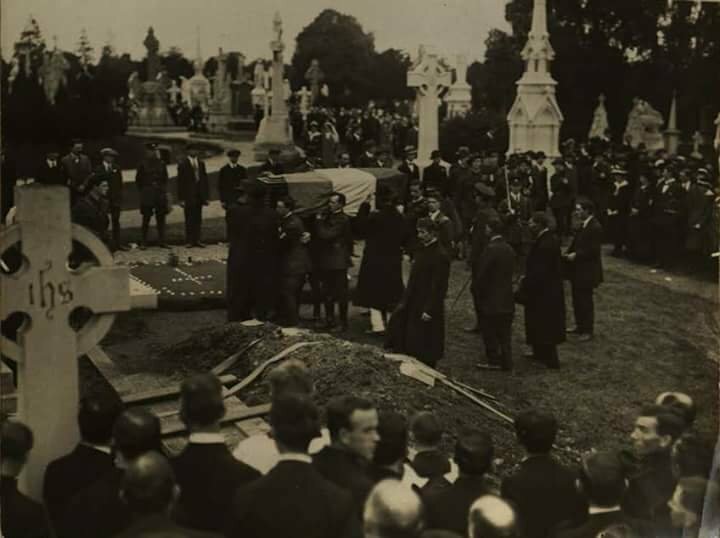 His funeral was one the biggest Ireland has seen as fellow Republicans, Nationalists, socialists and the civilian populace came from afar and became the focus of mass demonstrations throughout the country. 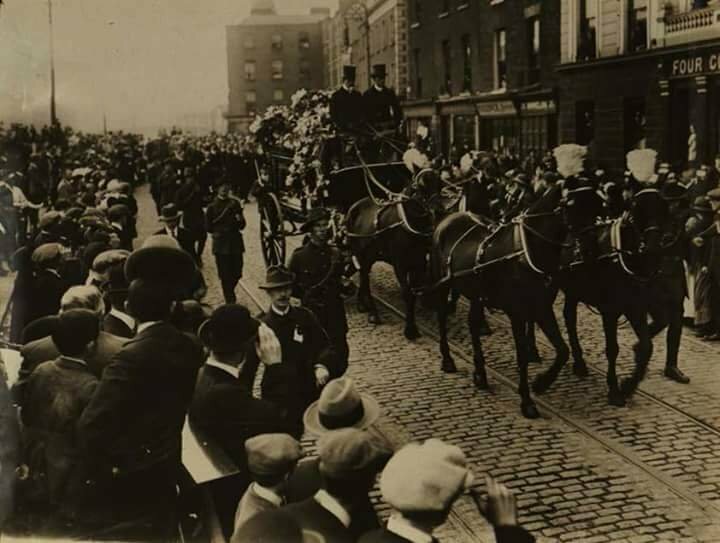 Large crowds, led in prayers by dozens of Cumann na mBan women, soon gathered outside Mountjoy gaol and the nearby Mater Hospital when Ashe’s body lay. Irish Volunteers and Cumann na mBan were on duty for his lying-in-state at both the Mater Hospital and later at City Hall. Within the IRB there was a determination to extract maximum propaganda value from the death of their comrade. 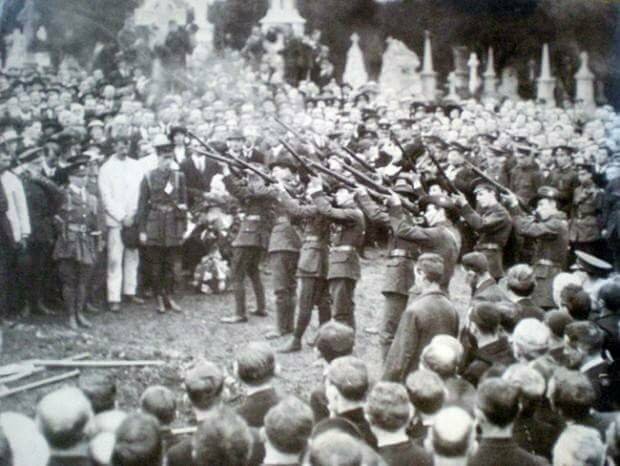 With memories of the importance to militancy of the funeral of O’Donovan Rossa in 1914, a major occasion was planned. The Ashe family were persuaded not to take the body back to Kerry for burial, and the Wolfe Tone Memorial Association planned the funeral and the INAVDF (Irish National Aid and Volunteer Dependents Fund) paid for it. Thomas Ashe’s body lay Dublin City Hall where tens of thousands of people would come to pay their respects in the following days. The subsequent funeral was one of the largest displays of republican support since the Rising. Over 200 Irish Volunteer members came from Ashe’s native Kerry and thousands of uniformed members of all republican organisations gathered outside City Hall. In all, 9,000 Volunteers, 18,000 trade unionists, members of the Irish Citizen Army, and Cumann na mBan joined his funeral cortège. The cortège took a roundabout route to Glasnevin so that it passed sites associated with the patriot dead, up at High Street, it passed Tailors hall where Wolfe Tone and United Irishmen met prior to the United Irish 1798 rebellion, and up through Thomas St. where it passed the site of execution of Robert Emmet, whose failed rebellion in 1803 was still remembered in song and story. Back onto the Quays it would pass near the Four Courts and, onto O’Connell St, it passed the GPO, important sites for the 1916 Rising. The message here was of Ashe, now in his turn, joining the pantheon of martyred patriots for Irish freedom. With the inquiry into his death, republicans had much more material to use as propaganda. Good looking, physically imposing, an Irish speaker, a fervent Gaelic Leaguer, a teacher, a piper, a member of the IRB and 1916 commandant, a successful military man, yet obviously spiritual and pious, he was the perfect icon of republican manhood, patriotism and sacrifice. 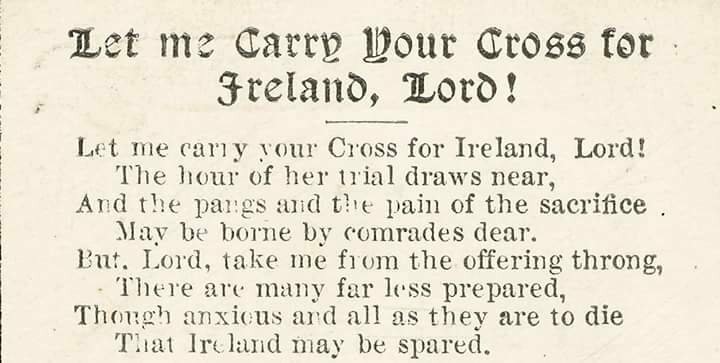 Thousands of photographs of Ashe, memorials cards and copies of his poem, ‘Let me carry your Cross or Ireland, Lord’, were distributed across the country. The inquiry caused more uproar and, ironically, prison officials were discouraged from further force feeding, as it was found that botched force feeding, which was deemed a cruel and inhuman method, had caused his death. With many thanks to: McKelvey Steele Cummann for the original posting.